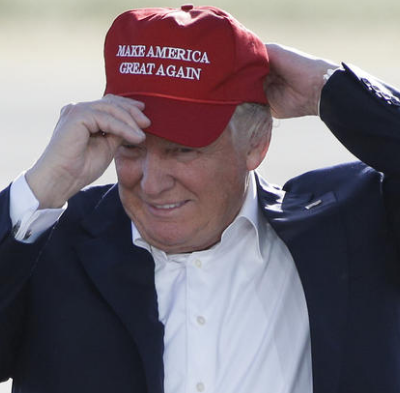 When the AP needed expert help for its story on whether Trump’s signature baseball caps are, indeed, Union Made in the USA, they tapped our own Kevin O’Brien, president of Ethix Ventures Inc. Kevin put on his investigative journalism hat and helped the AP reporters suss out the backstory on the “Make America Great Again” baseball caps. Kevin got in touch with Cali-Fame’s top sales agent, inquiring about pricing and also the origin of the hats’ materials. “I was told the hat was domestic- made, but of imported fabric,” Kevin discovered. Afterwards, the AP called the company on its own to inquire, and was told that they were made in the USA – but not all the materials used were American made. They were also told if a customer wanted American fabrics, they would have to supply them themselves. The owner of the factory, however, claims the employees were mistaken. Check out this article in the Chicago Tribune on the story, and see what you think!